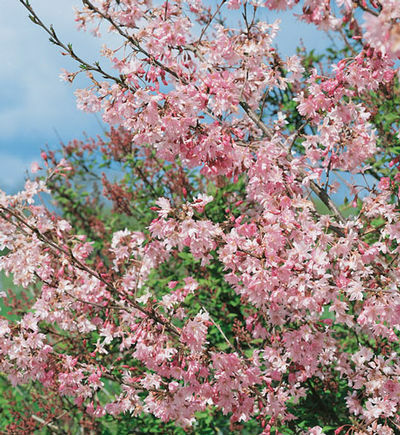 Autumnalis Cherry is a double-flowered Higan Cherry with upright branches and a rounded canopy. Semi-double pink flowers in early spring; will flower in fall in warmer climates. Fall color is yellow and bronze. We offer Autumnalis 1" to 1 1/2" caliper, 6' to 8' tall in a 15 gallon container.